These dogs definitely are not okay and I am slightly concerned for them. 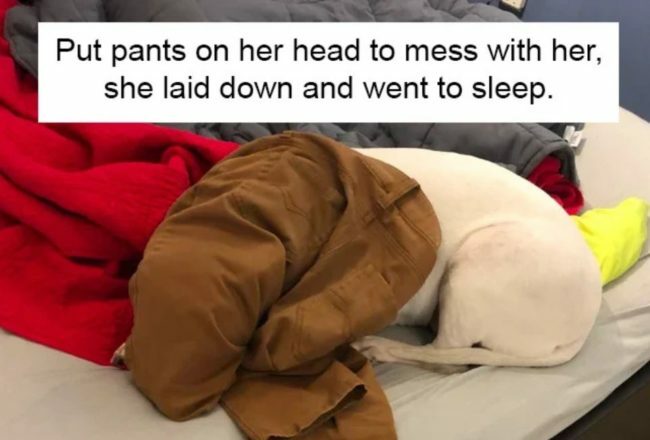 Yes, they are hilarious but sometimes dogs just fail to dog and it’s…weird. 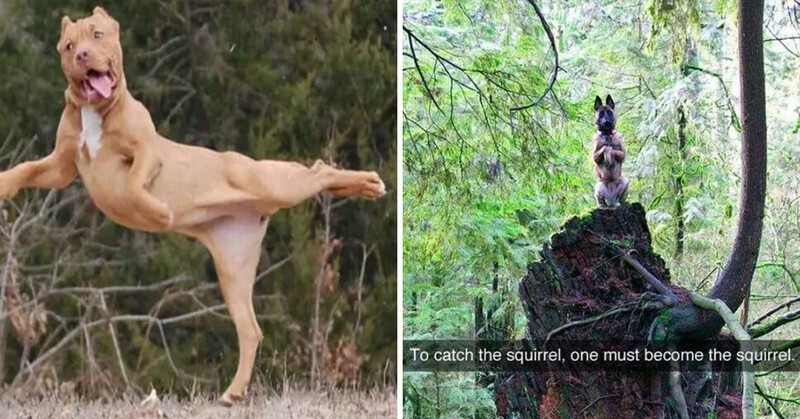 This dog forgot that it is a dog and suddenly became a squirrel. Is it disturbing? Yes. 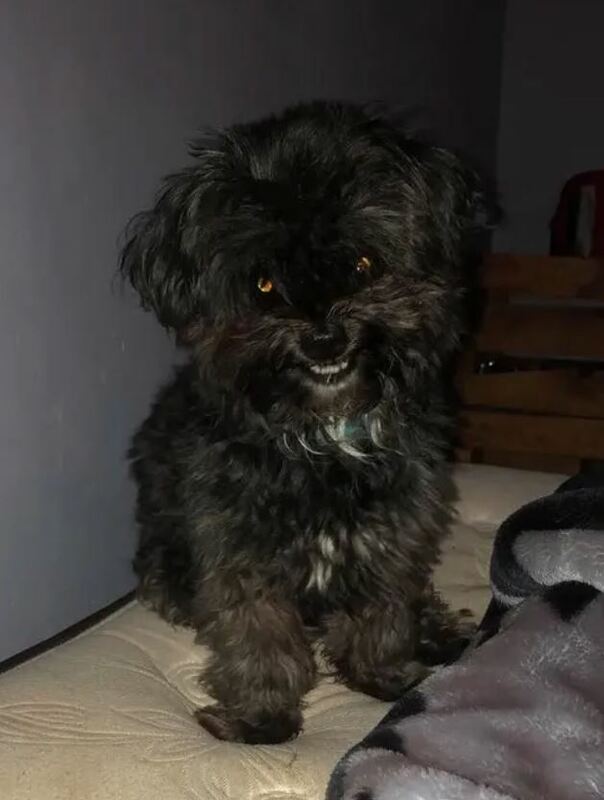 Should its owner be scared? Probably. 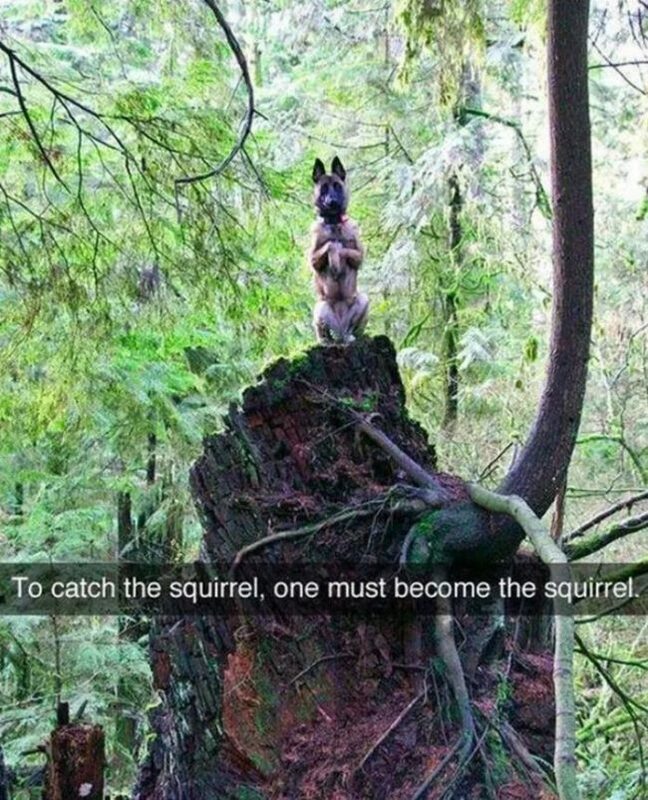 Did it ever catch a squirrel? Doubt it. Now, this is…weird. The dog seems to have forgotten that it should be walking on its four legs and has resorted to walking like a human. It now looks ready to fight anyone that eats its food and I definitely wouldn’t mess with it. 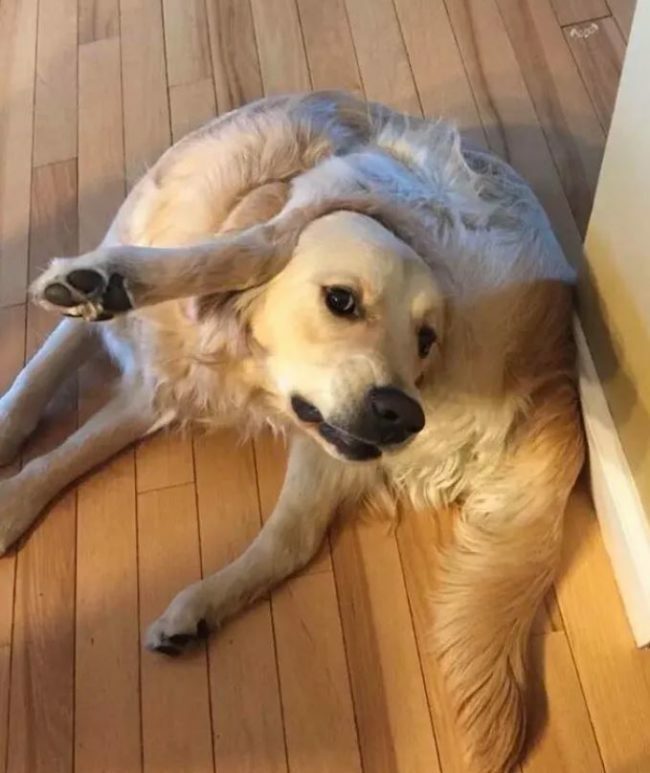 I have no idea how this confused doggo got his legs to go in that direction. Maybe he thinks that he is a chicken drumstick or something? 5.) Is this actually comfortable? This surely cannot be a comfortable sleeping position? 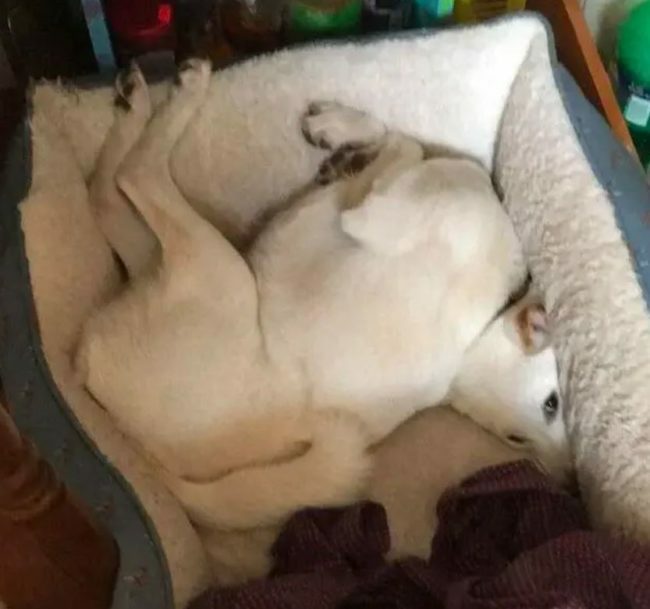 This dog is 100% broken in many ways. This is the dog of judgement. If you ever make a mistake, the dog of judgement will find you and stare at you for 10 minutes like this. This dog appears to have frozen in time and can no longer move. Once it has loaded properly, it should start moving again. 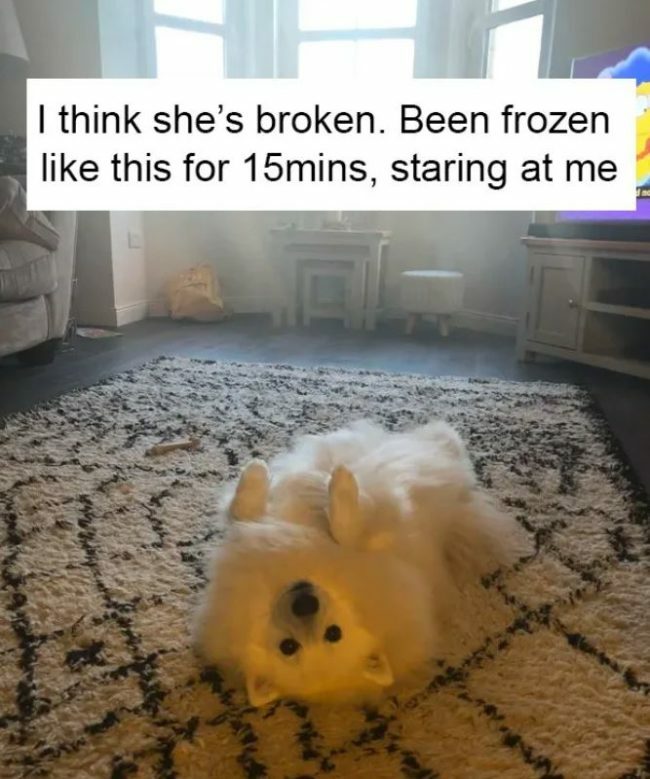 In the meantime, watch over your broken dog. This doggo has powered down for the day and doesn’t care where she rests her snoot, as long as it’s rested. Fair enough. 9.) 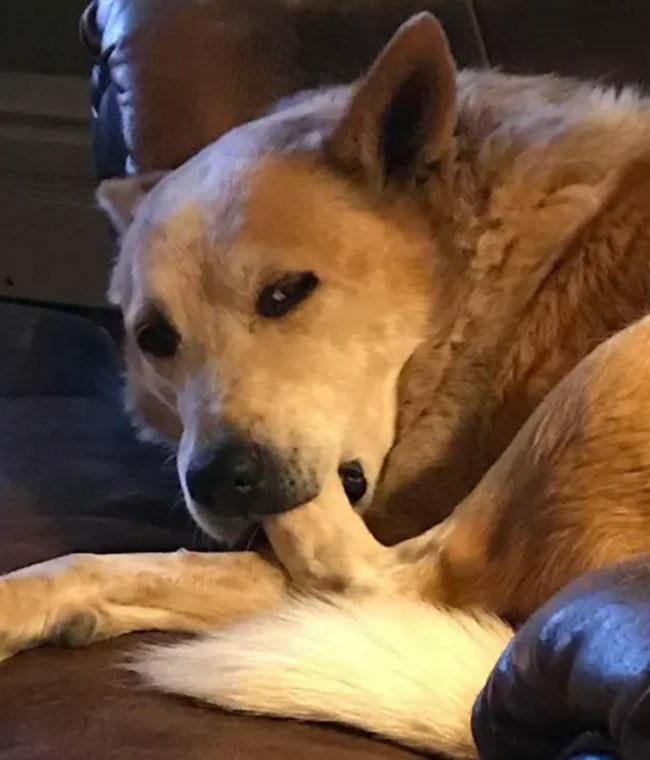 He eats his paws? Not sure if this is normal dog behaviour but it is a little…odd. 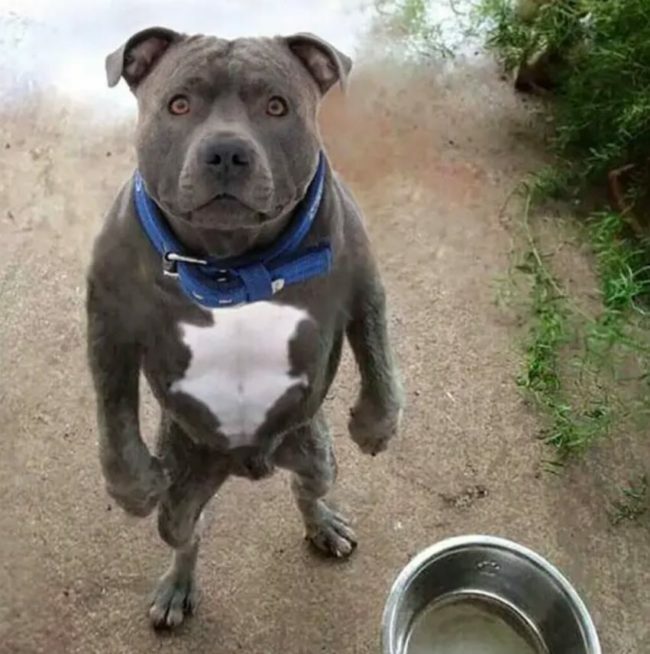 Someone, please give this dog some food, maybe that will fix him! 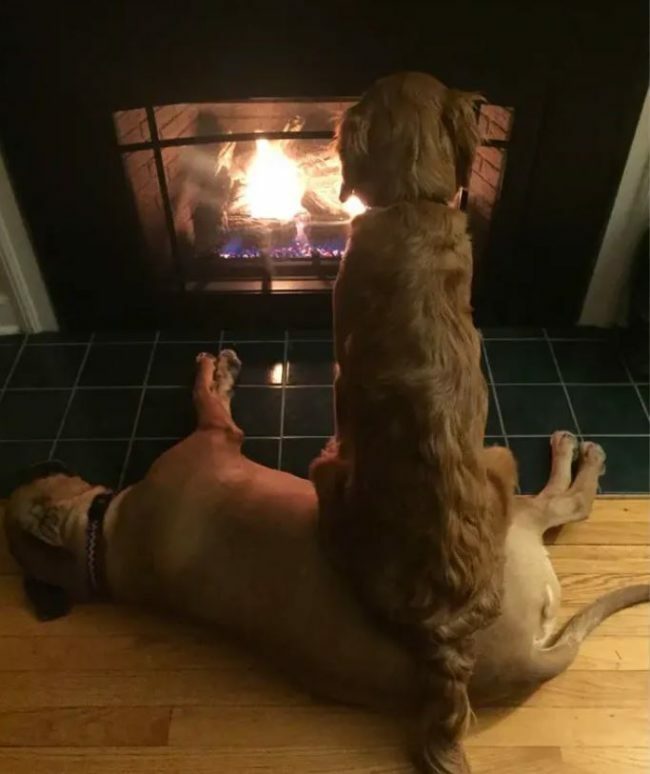 This doggo has decided to become a seat for his doggo buddy. That is not his purpose but he is chasing his dreams. 11.) 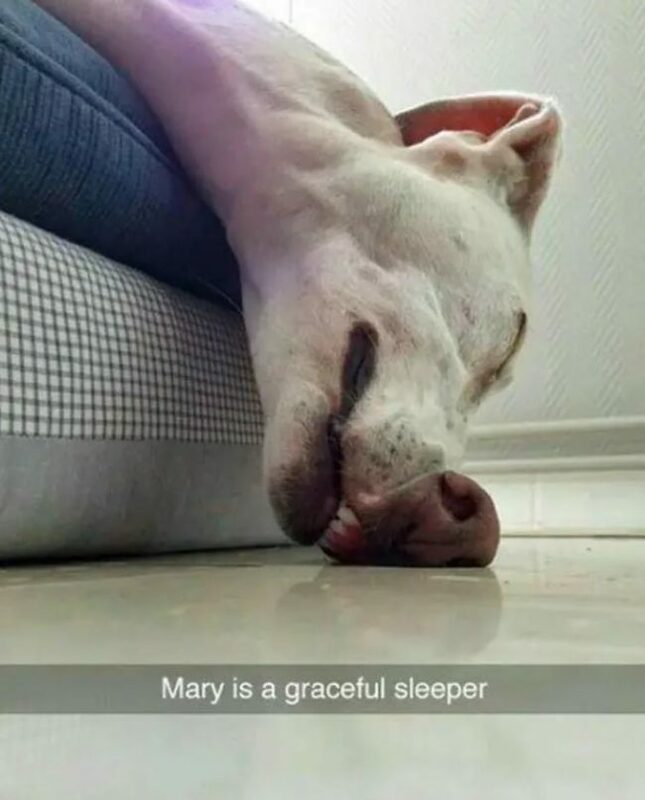 Is this a human dog? 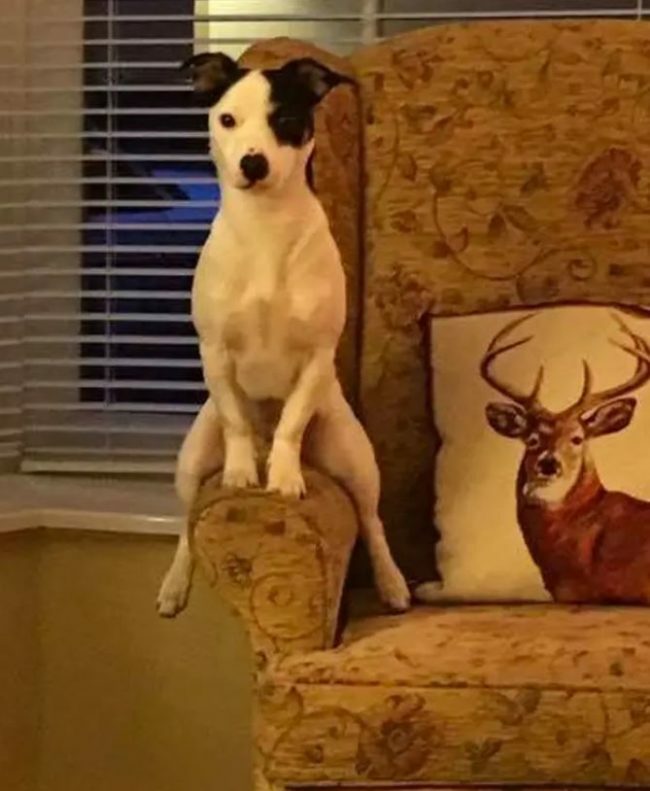 This dog thinks that it should sit like a human. It looks extremely and uncomfortable and scared which we feel that way too. 12.) What’s going on here? 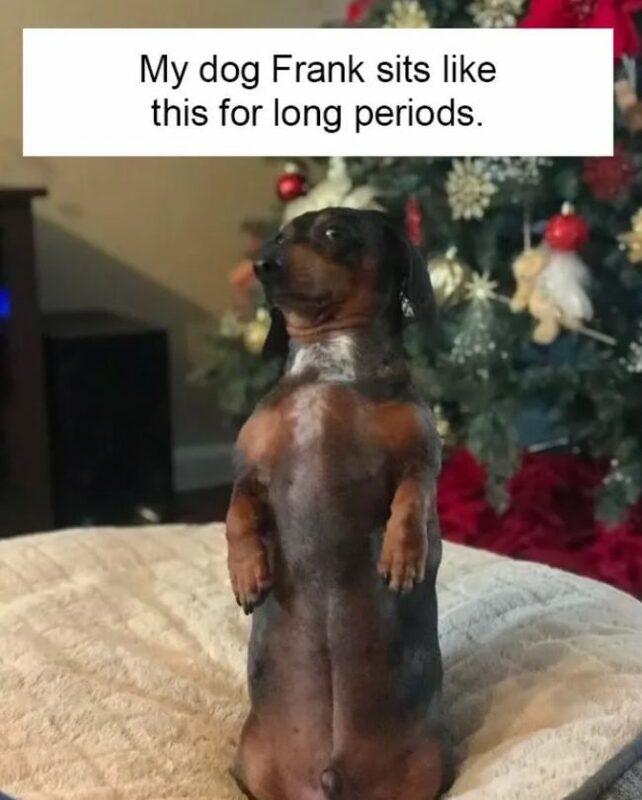 I have no idea what’s happening with this dog. All I know is that it is terrifying. Where did those teeth even come from?! 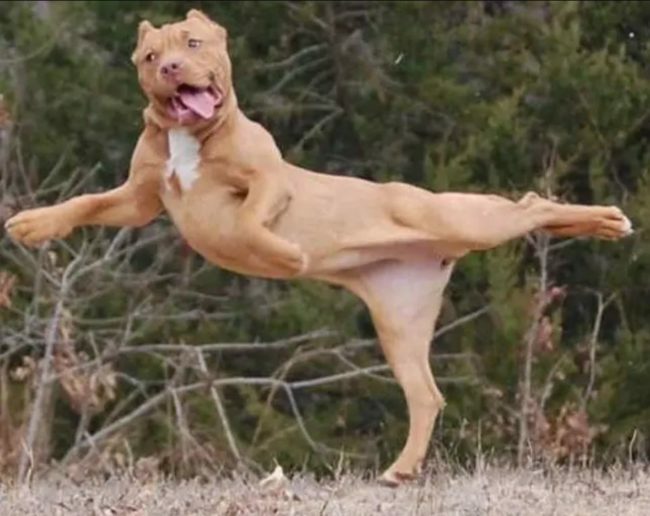 This dog dreams of being a ballet dancer and I hope it happens for her one day, she’s so graceful. If I saw my dog sat like this I think that I would take it to the vet, it’s just weird. How did it even get into that position? I’m very concerned. 17.) 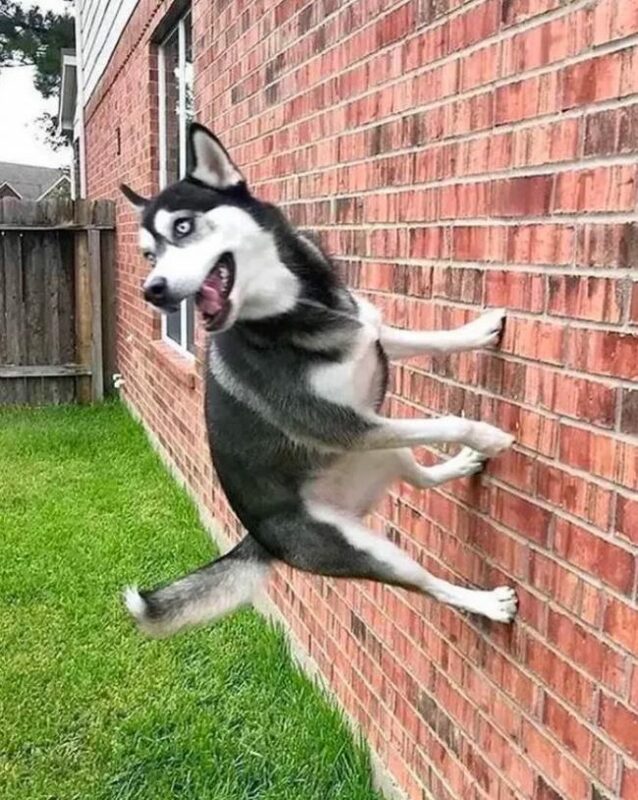 This dog can walk on walls? What?! 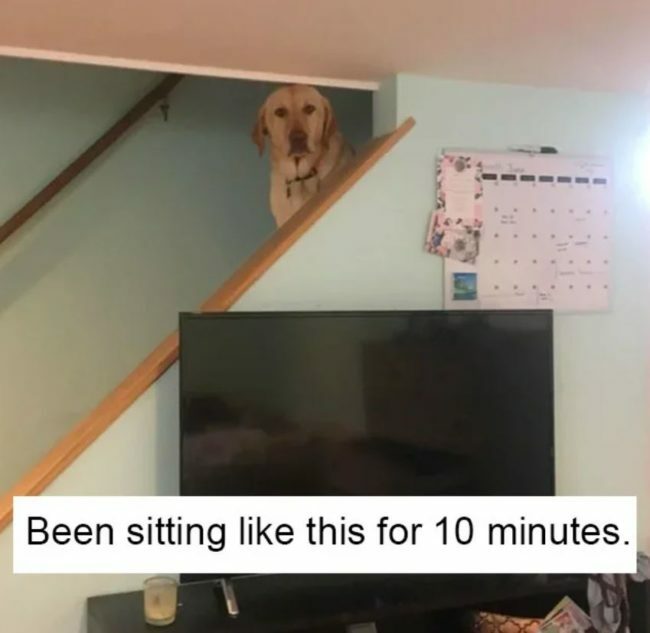 How is this dog just casually suspended halfway up a wall? This dog definitely has superpowers. He could rule the world one day. 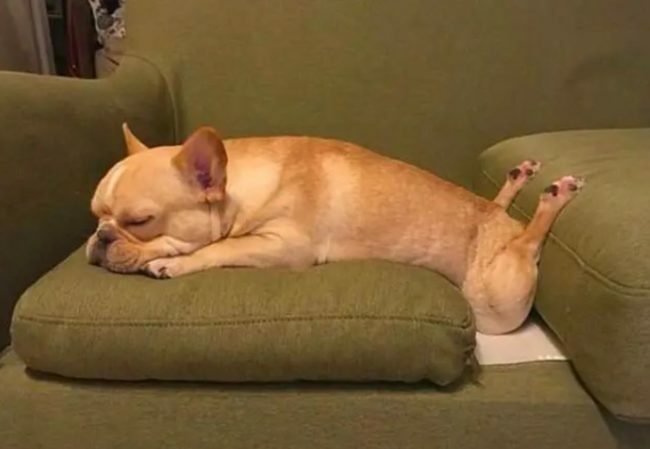 This dog has frozen in a position that definitely looks uncomfortable. I think his owner needs to try rebooting him and see if that works. 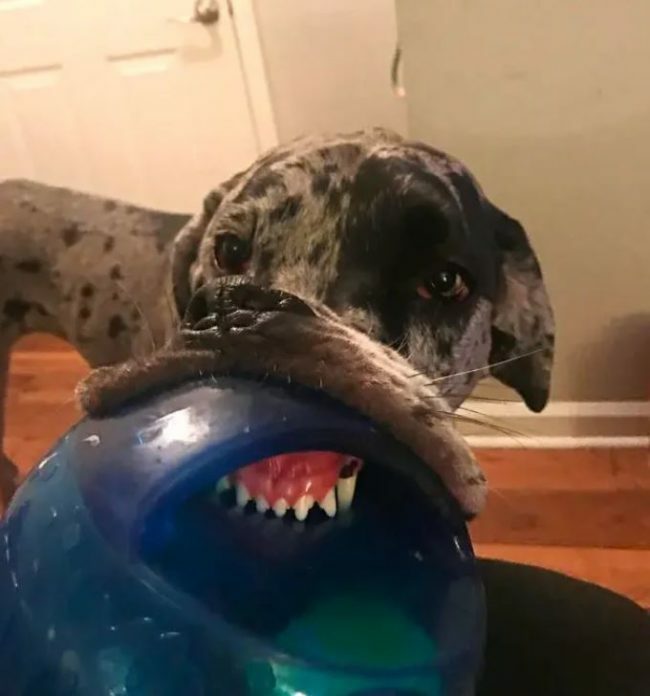 We love dogs and their weird ways but we would prefer it if our dogs would stop breaking quite so much. 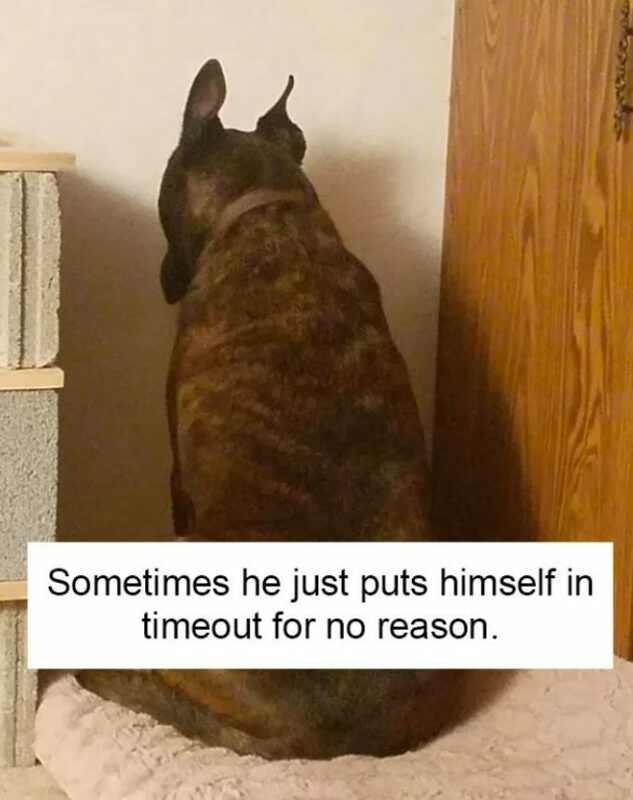 Dogs need to learn to be dogs again!